Faculty of Medicine, Mahasarakham University, THAILAND. 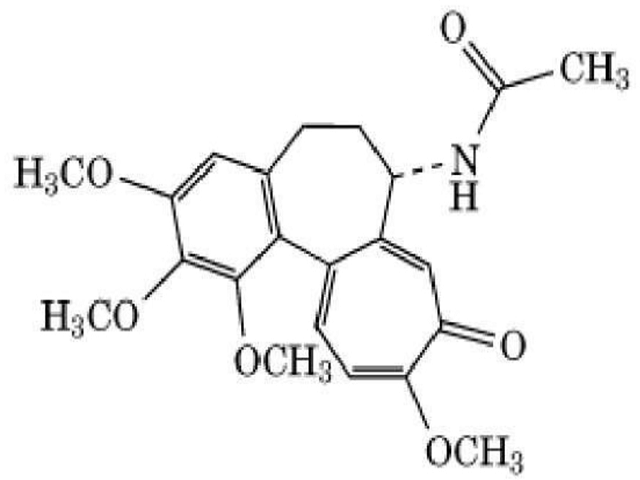 Introduction: Gloriosae Superbae Radix is a crude drug employed in Thai herbal remedies for several ailments. Colchicine is known as an active constituent in the roots. It was reported that 7-11 mg. of colchicine may causes lethal effect in human. In Thai traditional medical practice, the roots must be treated prior use to prepare Thai herbal preparations. However, pre-treated method has not yet been well established in any literature. This study aimed to document the pre-treated method and to quantitatively compare the amount of colchicine both before and after pre-treated. Methods: Firstly, interviewing with Thai traditional medicine experts and document the pre-treated methods of Gloriosae Superbae Radix to conclude the 2 commonly used methods. Two pre-treated methods (roasting and burning) were chosen for further study. Colchicine in Gloriosae Superbae Radix from 8 sources were analyzed before and after pre-treat by High Performance Liquid Chromatography (HPLC). Results: After pre-treat by roasting and burning, amount of colchicine in root were significantly decreased by 40.61±9.55% (p=0.000) and 26.79±10.89% (p=0.001), respectively. Comparison of colchicine contents of samples after roasting and burning, the amount of colchicine decreased non statistically insignificantly (p=0.110). Conclusion: Pre-treats of Gloriosae Superbae Radix by roasting and burning had significantly reduce colchicine content. Both methods have been proven to be the effective ways in preparing certain potentially toxic crude drugs before using in compounding into Thai herbal remedies. The chemical structure of colchicine. Tandhavadhana S, Picheansoonthon C. Reduction of Colchicine Content from Radix Gloriosae Superbae Preparata. Pharmacognosy Journal. 2019;11(2):310-314.